After my employment at the university has finished, may I keep my old e-mail address? 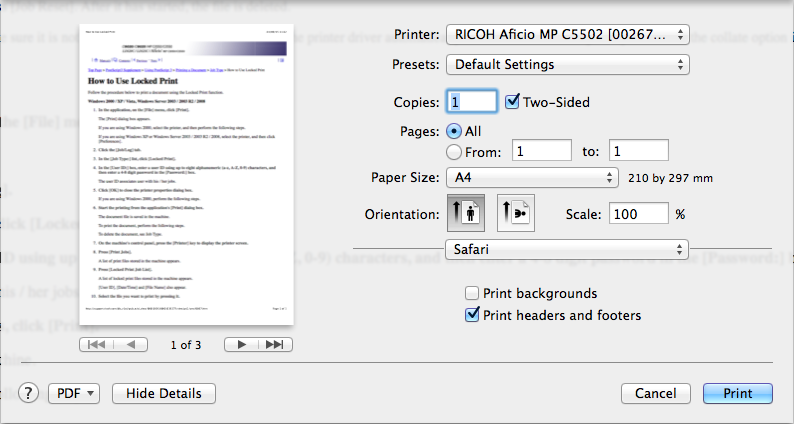 First you have to make sure you are printing using the driver made for the Ricoh printer. 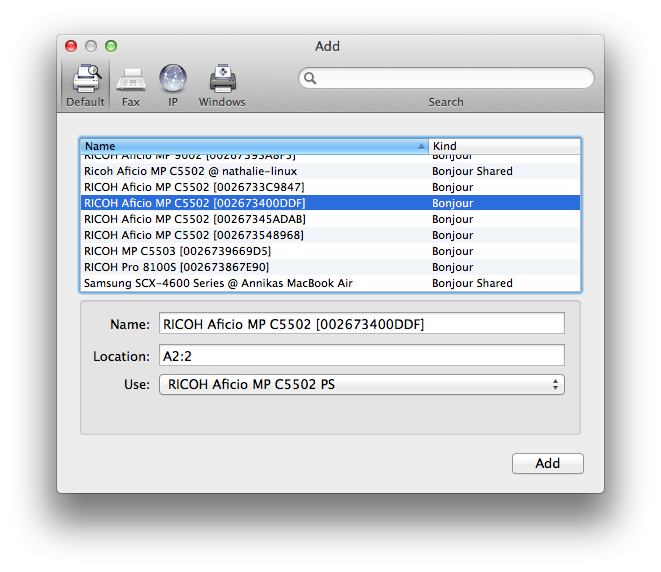 When adding a printer do not use AirPrint but the PostScript driver (the one ending with PS) at the Use: drop down menu. If you do not have any PostScript driver, you have to download it from Ricoh. 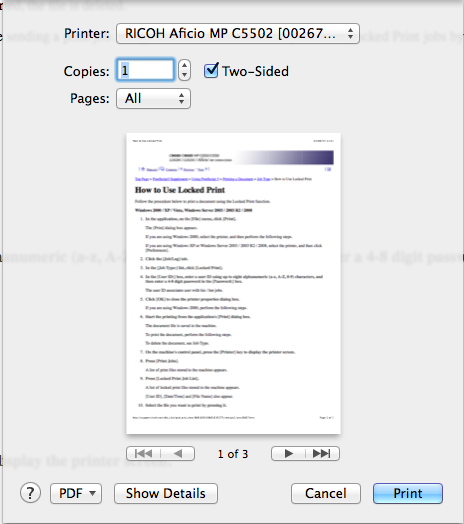 The Ricoh homepage is a bit hard to link to, but go to for example https://www.ricoh-usa.com/downloads/ enter the model number of the printer and download drivers. 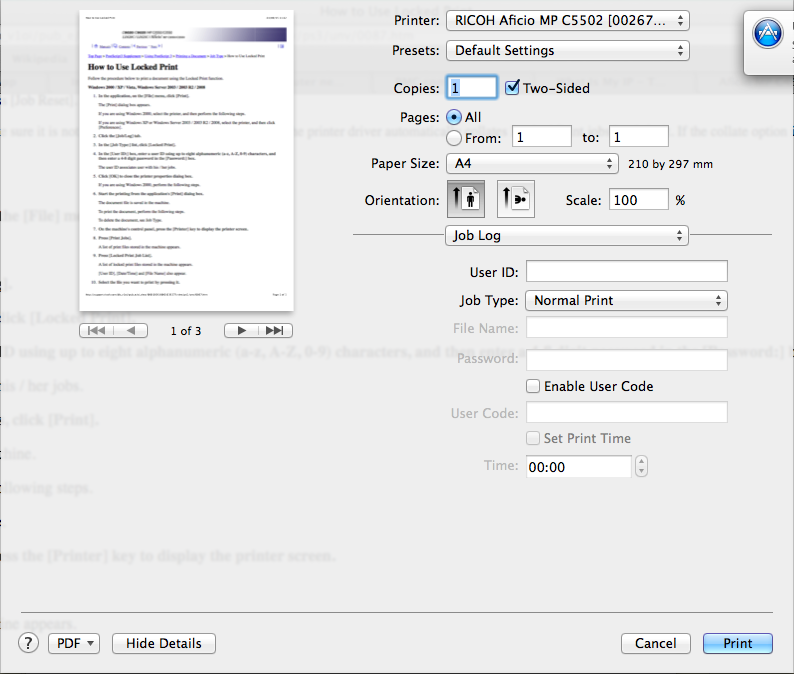 Then, when printing, enter Show details. In the drop down menu (currently showing Safari since I was printing from Safari) pick Job Log. 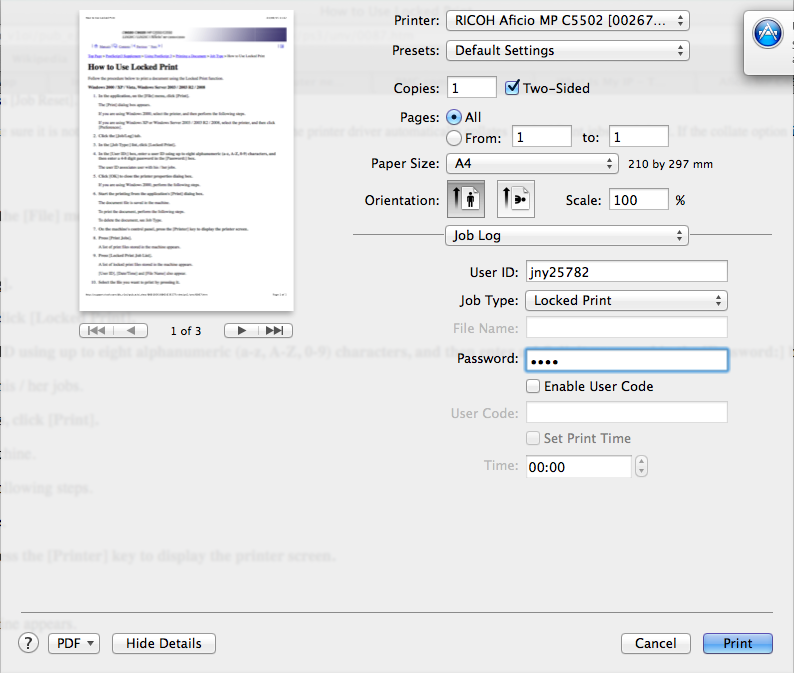 In the Job Log settings, change Job Type: to Locked Print. Enter your settings - your username and a unique password. Print using these preset settings.